I started seeing the tag #100HappyDays pop up around the internet a month or two ago and thought it was interesting. The gist is to snap a shot of something that makes you happy for 100 Days. I was watching the photos my cousin Elizabeth posting and remarked that it sounded like a project I might do but wasn’t sure if I felt up to taking a photo a day for 100 days. My track record with any kind of photo challenge hasn’t been all that great. I attempted the 365 portrait challenges that were popular on Flickr 5 years ago and even tried a Summer in Photos two summers ago but failed to continue after we moved into our house. Anyway, Elizabeth gave me a suggestion that I could do it for the last 100 days before Teddy was born. Well, that day 100 countdown started last week. And here I am, attempting to chroncile the happy snippets of the 100 days before I have a kid! 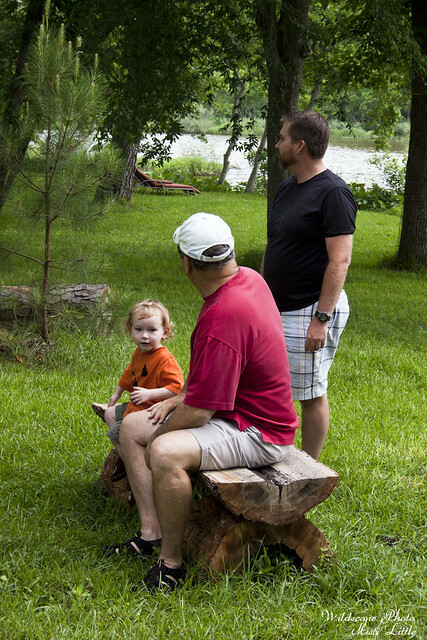 Day 1: Grayson, Paw Paw, and Chris all hanging out at the bench Chris built out of a tree that was cut down at our office. We had been meandering in the yard that morning, taking it all in. 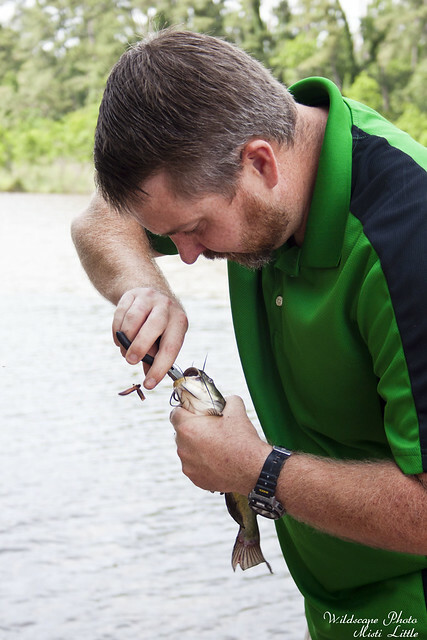 Day 2: My fisherman husband appeasing a gaggle of kids by taking them all fishing, some for their first fish ever! 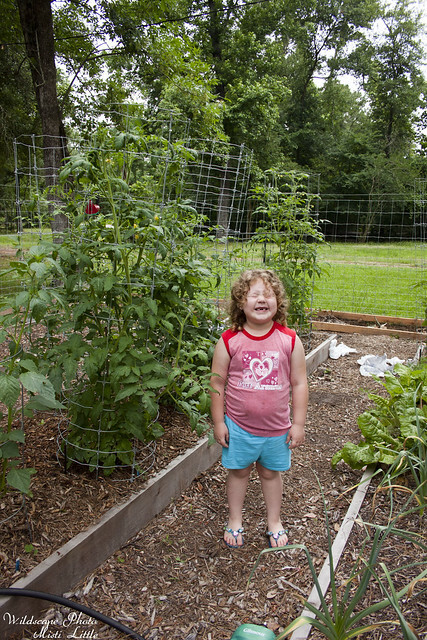 Day 3: Zoe giving a goofy grin as she stands next to one of the tomato plants for perspective on how tall the plant had grown. 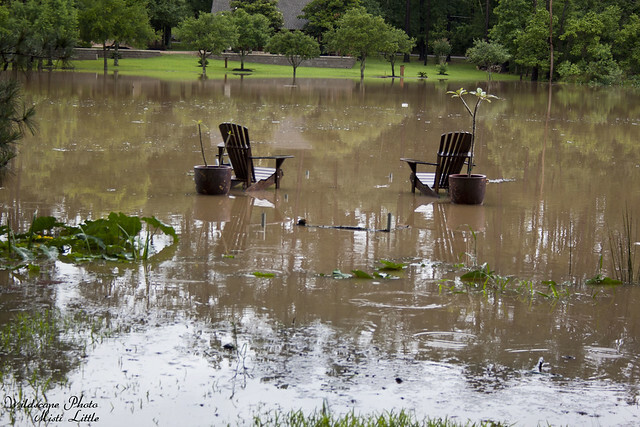 Day 4: The second day of heavy rain resulted in our pond flooding and covering the dock. I’m happy ’cause the items on the dock didn’t float away. The water rose higher the following day, but not as bad as this day two years ago. 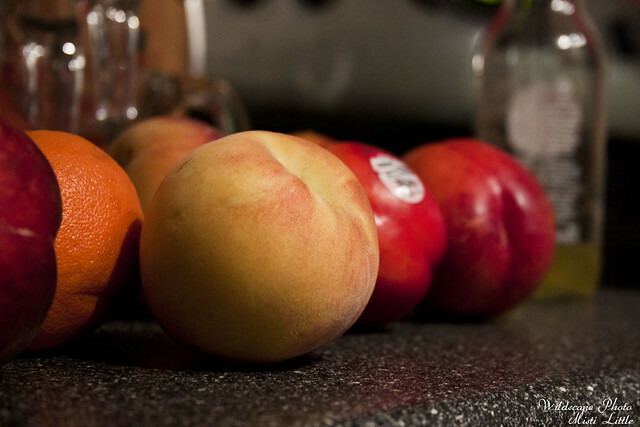 Day 5: Finally, it is peach and nectarine season! I’ve been patiently waiting for local/American grown peaches and nectarines to come into season and that day has finally arrived. 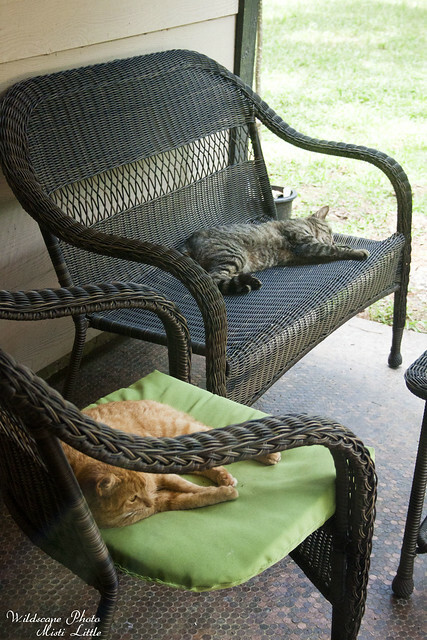 Day 6: We bought patio furniture—FINALLY!—and who decides that it is the perfect nap time material? Ruby and Mr. Stripey, of course. 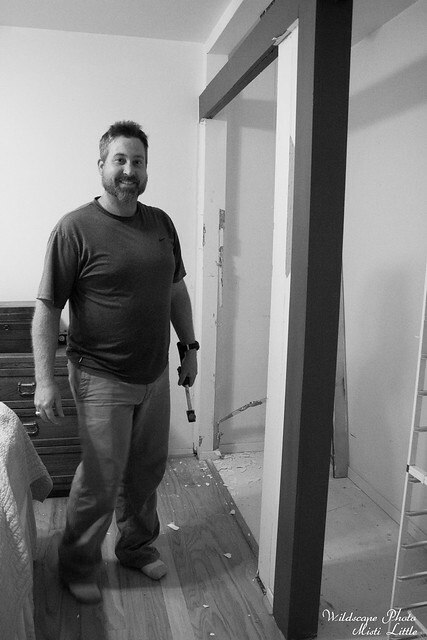 Day 7: Chris has started work on making a closet for Teddy out of the extra-large closet in the guest bedroom. He’s been doing a lot of work lately and I really appreciate it and feel bad that I can’t participate in as much as I would like to.